Lanchonete.org is an artist-led progressive cultural platform focused on how people live and work in, share and survive the contemporary city with the Center of São Paulo as our outlook. It gets its name from the ubiquitous lunch counters—convivial, fluorescent-lit, open-walled, laborious, points of commerce—that populate almost every street corner. While the platform is quite flexible, accommodating artist residencies, conferences, publications, exhibitions and related activities, each of its members may introduce a special focus based on their own set of interests or concerns. In 2016 different members will share what they are working on, as well as pressing issues playing out in the location (or site) of the project. 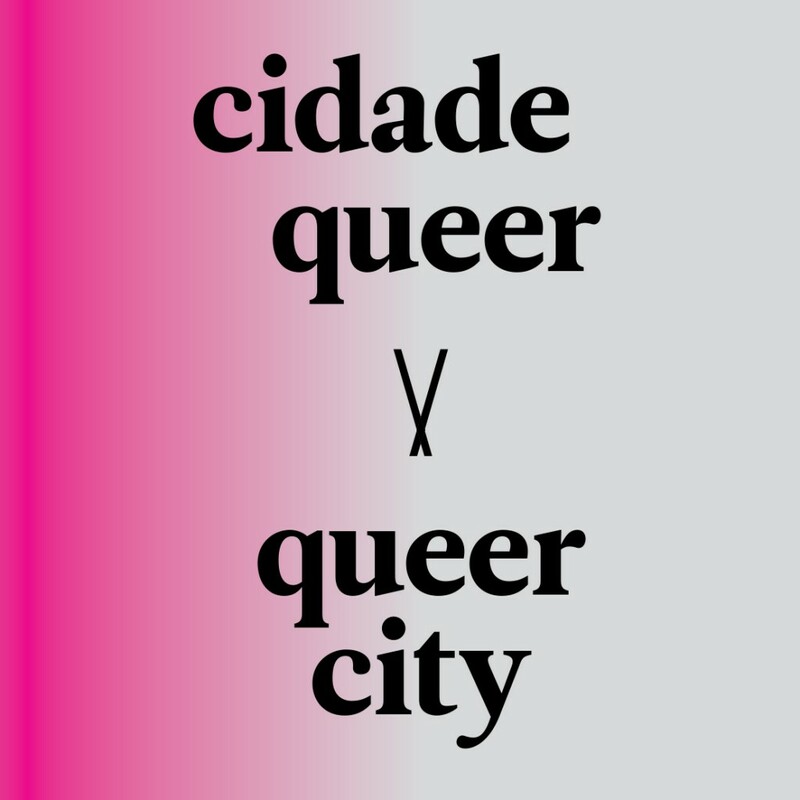 In November 2015, the Queer City (Cidade Queer) program was launched and runs through October 2016. The following article first appeared in Borda journal in Portuguese and more recently on the ArtsEverywhere platform of Musagetes. This makes sense for a program that came out of a partnership between Lanchonete.org and Musagetes, via its ArtsEverywhere online platform. Lanchonete.org is an artist-led cultural platform that gets its name from the ubiquitous lunch counters — convivial, fluorescent-lit, open-walled, laborious, points of commerce — that populate almost every street corner. There are approximately 30 people who participate in Lanchonete.org — artists, architects, urban planners, professors, students, activists, members of the housing movement, gardeners, journalists, etc. — and it is still growing. Musagetes is a Canadian philanthropic organization that works in cities globally to make the arts more central and meaningful in peoples’ lives and their communities. It does this by developing artistic projects and platforms in which to experiment with how the arts relate to and critique the world around us. This website — ArtsEverywhere.ca — is one form of Musagetes’ work. Lanchonete.org and Musagetes relate to French philosopher and sociologist Henri Lefebvre’s “Right to the City,” or one that asserts, in his own words, a “ . . . demand [for] a transformed and renewed access to urban life.” We want people from all walks of life to feel comfortable participating in Queer City. In November 2015, Lanchonete.org and Musagetes planned a weeklong series of activities in collaboration with the 23rd Annual Mix Brasil Festival to provoke an open discussion focused on the relationship between queerness and life in the contemporary city. The idea was to make a program of activities focused on the relationship between queerness and life in the contemporary city, including a film screening, a panel, a walk in the city center, and an open discussion. Carlos Motta (Colombia) and Maya Mikdashi (Lebanon) screened their short film collaboration, Deseos, which exposes ways by which medicine, law and religion shape discourses of the gendered body. After the screening, they were joined in a panel discussion by Ezio Rosa, the art-educator and author behind Bicha Nagô, who added his experiences on living and making work in the periphery of São Paulo. And finally, on Saturday, November 21st, there was a walk in the Center of São Paulo, led by the actor Paulo Goya and Thiago Carrapatoso (with the participation of the São Paulo Network of Heritage Education [Repep]), with the goal of remembering the queer history of the area through the personal account of a longtime denizen. We ended the walk at Ponto Aurora and had an open discussion about the future of the idea. From there, a year-long program began to take shape. During the 2016 program, we will continue to engage those with whom we share the city — queer people and their allies. One of the projects within Queer City is called “Janta: Queer Food/Queer Politics”, a monthly dinner at the home of Paulo Goya, Casarão do Belvedere. After leading the walk last November — and seeing how much interest there is in ‘remembering’ the city’s queer history together while taking part in its future — he and Thiago Carrapatoso proposed a regular dinner to do just that. En brev, the idea of Janta is ‘being at home’ with a community and enjoying each other’s company over good food . . . and fierce debate! Janta serves as a trampoline for a range of projects of all sizes within the Queer City initiative. By the end of the program, we believe that using a lens of queerness will have encouraged fruitful discussions and joint interrogation of how we share the city. In fact, The Queer City Reader, a collaboration with Publication Studio São Paulo and .Aurora will attempt to contextualize these discussions in relation to queer thought from all over the world. The reader will be released in March 2017. Additionally our crossbeam activities help to inform the Queer City initiative and vice versa. These activities include hosting a Haitian photojournalist to document the growing Haitian diaspora community in Brasil; hosting Zimbabwean artist, Lucia Nhamo who received the Bamako Encounters jury prize (awarded to a female artist whose work broadens and/or challenges perspectives on contemporary African migrations) of a two-month residency to look at older and newer African migrations in Salvador and São Paulo, respectively; hosting Edgar Calel, an indigenous (Mayan) Guatemalan artist in collaboration with Lastro Arte and the Cultural Center at São João Occupation. Next Post 2016.5 – Lanchonete.org on ATAQUE!